From 1983: A great double-page advert from Palitoy promoting - with a competition - the launch of their STAR WARS: RETURN OF THE JEDI action figure range. I remember the excitement of going into the local independent toy shop (Child's Play) ahead of the film's release and seeing the new figures for the first time. And checking the card back to see all the new characters that would be in the next film. And wondering why two of them had been crudely blacked out. limited to one purchase, I settled for the Emperor's Royal Guard because - frankly - it looked so cool. Little did I know they would be little more than set dressing in the film. the pick of this weeks offerings must be a re-print volume of ONE-EYED JACKS culled from VALIANT comic. OEJ was also the first reprint strip added to the EAGLE roster. 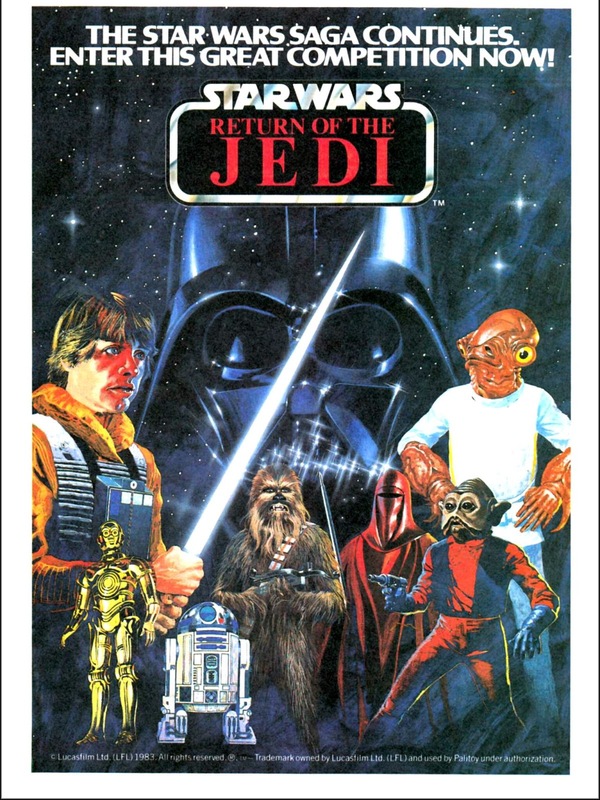 It seemed curiously dated even back in 1982-83. On the subject of old IPC characters... Is that bucket-headed booby Baron Ironblood front-and-centre in the next IDW/ Hasbro crossover? yes indeed, it looks as if the onetime nemesis of ACTION FORCE will feature in FIRST STRIKE although his appearance has been tweaked and re-designed. The HASBRO HEROES SOURCEBOOK is also due from IDW. I won a Boba Fett figure before the film was released, but I can't recall if it was this competition. The figure arrived in a small, plain cardboard box without the usual Palitoy backboard. I still thought it was cool though! 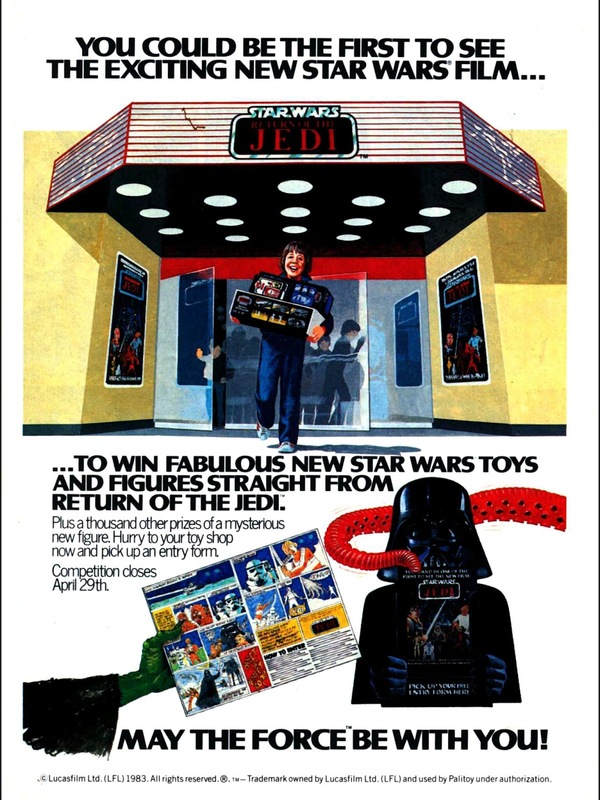 Oscar, that sounds like Palitoy's mail-away "free figure offer" rather than a competition. That offer ran around 1979 or early 1980 before Boba Fett got a carded release--you had to send (from memory) 3 x SW figure character names cut out from packaging along with a signed receipt from your local toy store to prove you'd bought them! The need for a signed receipt was dropped from later promotions. Dengar, Admiral Ackbar and Nein Numb. Possibly Anakin Skywalker--but that was after my time. Later, you could also send away for certain vehicles, etc., at a discount price, and the rather magnificent "survival kit" which included breath masks, spare weapons, a grappling hook belt for climbing up AT-AT Walkers and a backpack for figures to carry Yoda while training in the ways of the Force. Awesome fun! Palitoy's Action Force ran a similar offer for Skeletron (I think the figure was called) but ran out of the figure and substituted Kraken in its place. That's it! Thanks, Klown. Now I remember cutting out the character names. I'm sure I got some Action Man stuff by a similar method.